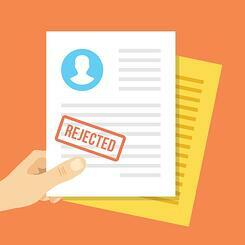 Claim rejections can hurt your practice. When your optometric practice receives a rejected claim, your biller not only has to spend time correcting the claim but they also have to resubmit the claim. Doubling the work for them and reducing they amount of time they have to keep up with the other insurance claims in your practice. If your biller doesn’t keep up with the rejections, it’s possible that the electronic claims will miss their timely filing deadlines and the doctor will have to write the claims off. While claim rejections are common, they are avoidable with the right tools and processes in place. Below are three rules for addressing claim rejections more successfully. Incorrect Information: Data entry errors can cause billers to enter incorrect patient demographic information and incorrect insurance provider information. Invalid Code: Coding errors such as missing codes and conflicting modifiers can cause the payer to return the rejected claim back to the practice. Duplicate Claim: A duplicate claim happens when a practice claim handler resubmits a claim that’s already being processed. The next step to addressing the rejected claim is to correct the error. If the error is due to incorrect or missing information, review the patient data located in the patient profile and confirm the patient’s coverage information. If the error is because the biller submitted a duplicate claim, identify why the original claim wasn’t paid. If the claim was rejected, use the resubmission feature in your clearinghouse solution. 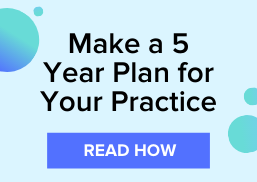 To prevent claim rejections in the future, your practice should use a clearinghouse solution equipped with advanced claim scrubbing capabilities to help create a 98% first-pass rate. As long as your keep up with the claims and prioritize rejections, your biller can make your practice more money. If your biller can’t keep up with the workload, consider supplementing your biller’s work with an optometry-focused billing service provider to manage and provide visibility into your vision and medical claim performance.